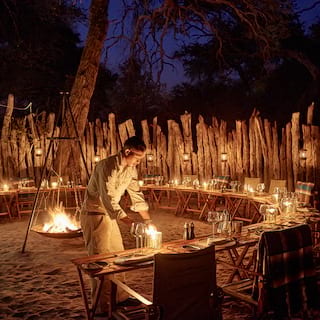 Breathlessly captivating, this corner of Botswana has long been associated with the world’s greatest explorers, including David Livingstone. 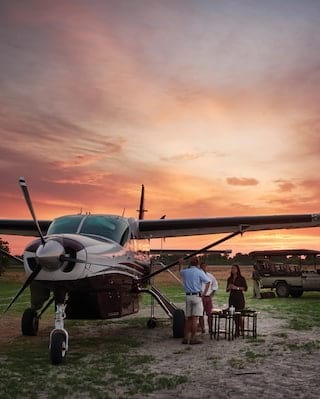 Follow in their footsteps at Belmond Savute Elephant Lodge. Head out to our unique viewing hide at dusk or dawn, overlooking the watering hole, and see elephants, hyenas and cheetahs in their element. Then find a serene welcome back at the lodge. The contemporary interiors reflects the earthy tones of the wilderness, while eco-friendly design features keep you in harmony with the stunning landscape. 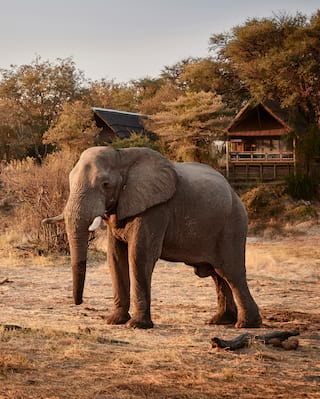 Belmond Savute Elephant Lodge has now reopened following a total rebuild. Inspired by history’s greatest explorers, all of our guest areas and accommodation have been imaginatively designed to evoke a sense of discovery and adventure. 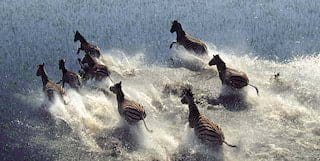 Using the best eco-friendly, sustainable practices, you’ll feel closer to the wildlife than ever before. New features include a luxury spa, a viewing hide overlooking the watering hole, and a stunning firepit with views of the Savute Channel. 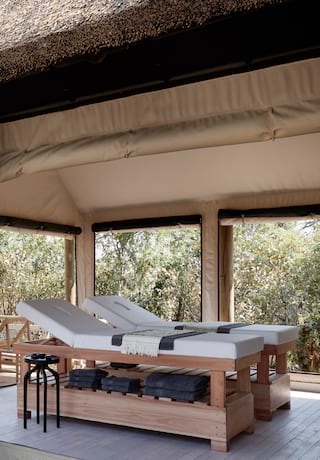 Raised on wooden platforms, each tented room affords breathtaking vistas across the shifting ecosystem. An outdoor lounge offers post-safari relaxation as giant bullfrogs croak within earshot. 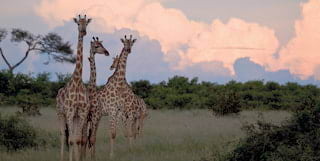 Or recline deck-side on your lounger; big game frequently mingle in full view at the adjacent watering hole. Inside, luxurious interiors feature a netted four-poster bed and lavish bathroom. A fully-stocked minibar and discreet air conditioning refresh and revive. 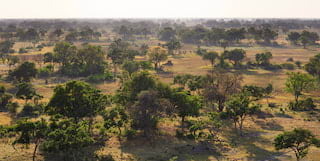 When David Livingstone explored the area in 1851 he described the Savute as a marsh. Since then, the Channel alternates between flowing free and drying up. This part of the National Park has been prohibited for humans for decades—save for the area around our lodge. The position is unrivalled; nature’s drama played out on your own private stage. Let the stars guide your way into the bush. 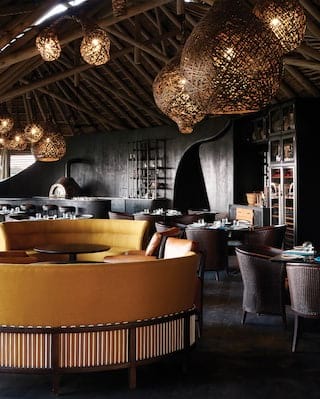 Recline around the campfire at our own enchanting Boma, a unique dining experience that combines African delicacies with soulful rhythms—all played out under an inky night sky. Unwind and let time stand still as you find true bliss at our spa. Located in a peaceful corner at the edge of the lodge, it’s a serene space of sage-green hues and handcrafted details. Indulge with a selection of massages, facials, body rituals, manicures and pedicures. We proudly use South African brand TheraNaka. Their organic, sustainably sourced ingredients include marula, immune-boosting rooibos and rehydrating Kalahari melon.